Are you one of the 30 million people with dental anxiety or dental phobia? If so, chances are you’ve missed dental appointments because of the anxiety and fear. Avoiding the dentist due to this phobia or anxiety puts your dental health at risk. Unhealthy teeth can cause serious health issues, including heart disease. Instead of missing appointments, consider sedation dental care. Being sedated while at the dentist makes the experience much less scary. Think sedation dental care may be exactly what you need? Continue reading to learn about this effective type of dental care. Laughing gas is the most commonly used sedation. While the gas won’t put you to sleep, it puts you into a deep state of relaxation. For more involved procedures, oral or intravenous sedatives may be needed. 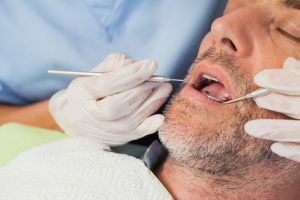 Is Sedation Dental Care Right for You? There are many reasons to use sedation dentistry. Here are just a few ways to know if this is the right decision for you. If you suffer from anxiety the minute you walk into a dentist’s office, sedation can help. A fear of going to the dentist can cause all sorts of health issues. Sedation dentistry reduces anxiety and fear. Knowing you’ll be relaxed and pain-free will ensure you make it to your appointments. Do you have sensitive teeth? Are you worried about your gag reflex during dental appointments? Under sedation, you can overcome these sensitivities. The sedation will put you into a state of euphoria and your sensitivities are controlled. Certain dental procedures, such as fillings and root canals, can be painful. No one likes to be in pain. Thankfully, with sedation dentistry, the worst appointments can be painless. If you have a low pain tolerance, sedation is a useful option. Pain makes patients reluctant to go to the dentist. Wouldn’t you be more willing to go if you knew you’d experience no pain? It’s one thing to spend 30 minutes in the office for a tooth cleaning. It’s another to have to sit in the office for hours. Complex dental procedures require more time. Wouldn’t it be nice to relax and sleep during a long visit? With sedation dental care, hours can feel like minutes. Considering sedation dentistry? If so, you’ll want to find a dentist you can trust. Ease your anxiety and fear by finding a reputable dentist experienced in sedation dentistry. If you live in the North San Diego County area, now is the time to schedule an appointment with Dr. Winkler. Our office strives to give you a smile that’s beautiful and healthy. We’re dedicated to giving you the best smile possible. Don’t let fear impact the health of your teeth! Call our office today to schedule an appointment. We look forward to meeting you.